Many people are trying to reduce their intake of Genetically Modified Organisms (GMOs) but some don’t know why. Is this GMO? What is GMO? Jimmy Kimmel asked people on the street if they even knew what the acronym GMO stood for and many didn’t. Here’s the breakdown of what it means and so you can make an educated decision for you and your family. There are three types of produce: conventional, organic, and genetically modified. 1. Conventional produce is sprayed with chemical pesticides but the genetics of the fruit or vegetable are natural, made from seeds made in nature. 2. Organic produce is as natural as it gets. It’s food from natural seeds that are grown with the lowest possible amount of pesticides and fertilizers. 3. GMOs, on the other hand, are grown from seeds made in a lab genetically manufactured to resist pests. Many of these crops are also sprayed with potent chemicals to increase the crop yield. This is why some people prefer organic foods; they are searching for the most natural food possible. Whatever your stance, choosing the right food is easy if you just look at the label. 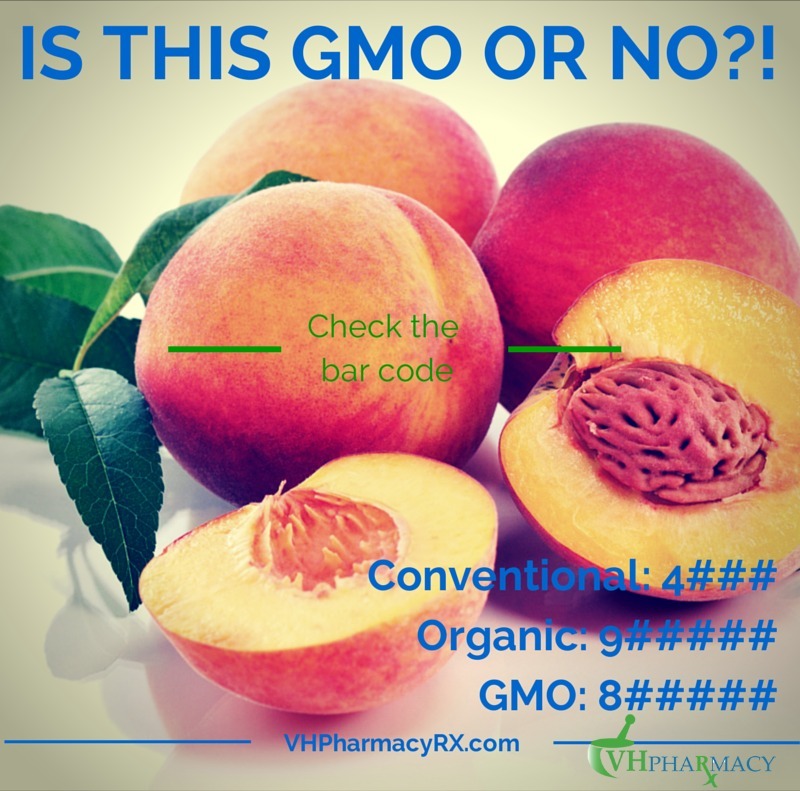 Conventional foods have barcodes that start with the number 4, organic foods start with 8 and GMOs begin with the number 9. If you have any questions about the types of food you should be eating for a specific ailment or health concern, don’t hesitate to give us a call!